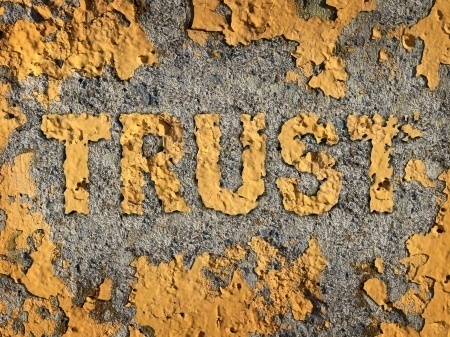 How Can We Measure Something as Elusive as Trust? Dr. John Gottman was a mathematician before he became a psychologist. As an enthusiastic math wonk, Dr. Gottman sought to mathematically measure what most of us believe to be..well, unmeasurable. Gottman has found that there are two key ingredients in the success or failure of any relationship. The tension between the felt sense trust, and the memory of betrayal. Gottman’s research tells us that while trust may seem like a relatively straightforward concept, it isn’t. Because there are far too many paths to betrayal. “There are lots of ways to betray somebody. For example, just lying is a betrayal. Not being transparent – being hidden – is a way of betraying.” says Gottman. Betrayal is Not Just Infidelity. Trust is Not Just Confidence. Trust is not a static concept. It is either built up or torn down as a couple moves through time together. That doesn’t mean that if you are a new couple, the trust you currently enjoy is weak, immature or deficient. But the trust that you enjoy today is hopefully not as strong as it one day will be. Trust is an emotional muscle that strengthens with continued use, sometimes under stress, over time. Gottman tells us that we build trust as we move through time together and participate in an unfolding “art of intimate conversation.” To Dr. Gottman, engaging in an intimate marital conversation is an art form, which deepens intimacy with each subsequent encounter. And relational intimacy is a fundamental building block of trust. The art form of intimate dialogue includes the healthy struggle to use your words to describe difficult feelings, to be vulnerable, curious, and open when asking questions, and doing your best to manage anxiety when you work to keep the conversation going. Empathy and compassion build a reserve of goodwill that will buffer you against the inevitable disappointments and misattunements that are also a familiar part of married life. When there has been an attachment injury, trust never sleeps. It starts tossing and turning. Betrayals both large and small encroach on every marriage. These betrayals may be dents, fender-benders, or head-on collisions. But in every case, they offer an opportunity for repair and restoration. Some of the greatest opportunities for the restoration of intimate bonds are discovered by couples reeling from the impact of a betrayal. 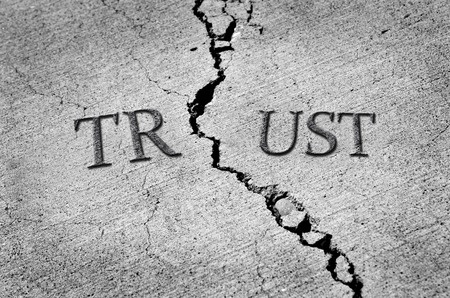 When trust is eroded, it may be restored by noticing its depletion and nurturing it back to health. Resilience rather than rigidity will serve you better in the long run. Sometimes we fail. Grace and forgiveness are always an option. We grow, learn and change. Gratitude, forgiveness, and resilience are woven into the fabric of restored integrity in the pursuit of trust. I hope this post will prompt an artful “generative conversation” with your partner about your own trust metric. You might be grateful for the chance to go toe to toe… and heart to heart. You both will be happy you did. You can trust me on that. Our Couples Retreat is a Perfect Opportunity to Learn the Art of Generative Conversation with Your Partner. Previous Post Five Styles of Co-Parenting After Divorce Next Post Emotionally Focused Couples Therapy and The Protest Polka!